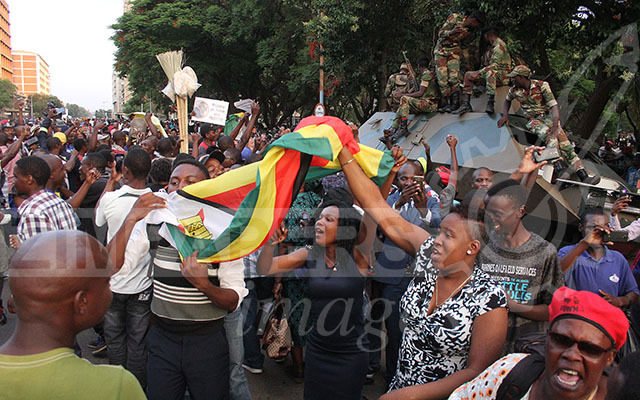 Scenes from Parliament of Zimbabwe during President Mugabe's impeachment process. . . The revolutionary leader later resigned amid impeachment. 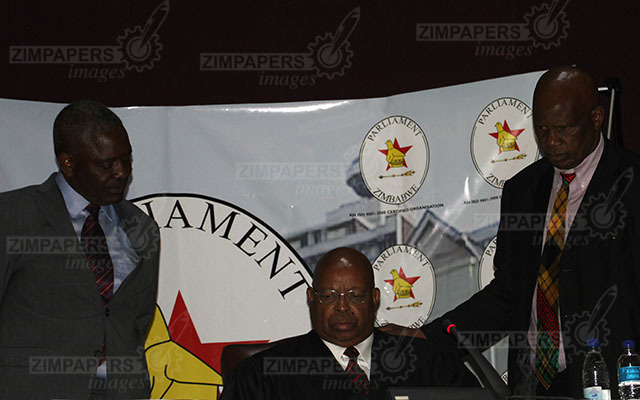 17:46 – Hon Bonyongwe and Hon Chinamasa are back to the Speaker of Parliament and can be heard talking of terminating the debate. 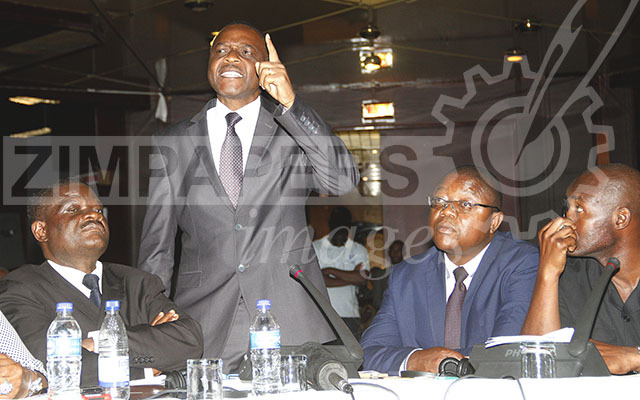 Debate has briefly stopped here as and the Speaker announces that debate has been terminated. 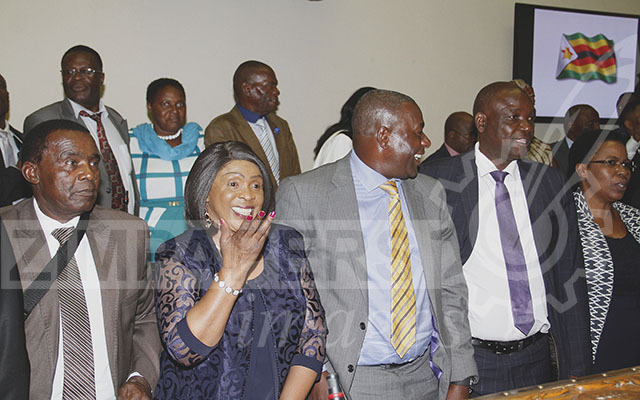 The house erupts in cheers and the speaker struggles to contain the gallery. 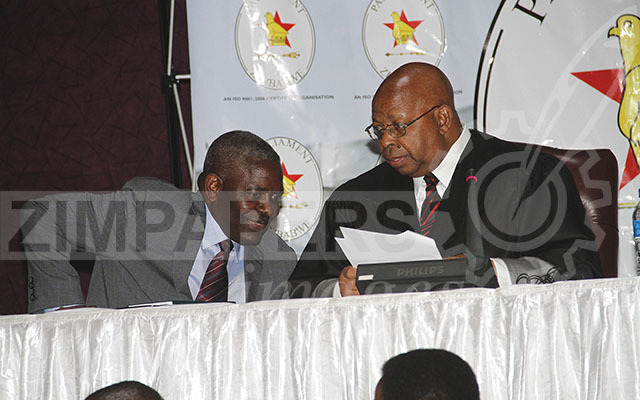 Hon Patrick Chinamasa (right) joins Rtd Brig.Gen Bonyongwe (left) to advise of President Mugabe’s resignation on 21 November 2017. Parliament this afternoon sits to start the process of impeaching President Mugabe. 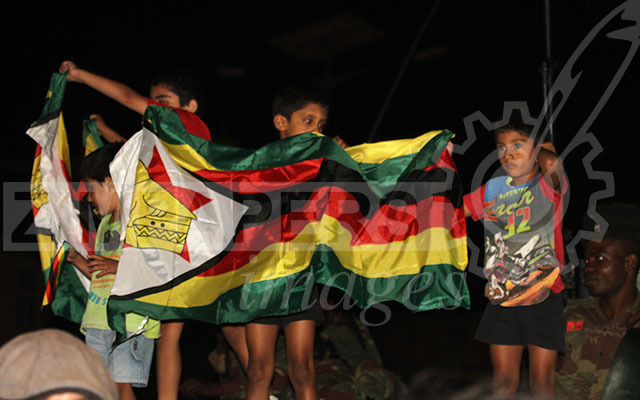 Zimpapers Online gives you updates of this historic event. 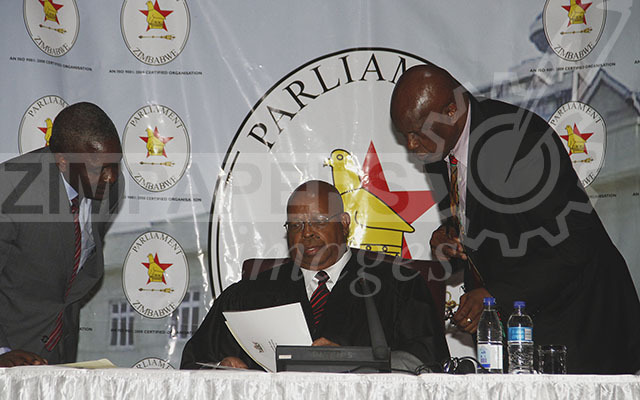 14:30 – The Speaker of the National Assembly Advocate Jacob Mudenda has acknowledged to the House receipt of the motion to impeach President Mugabe and he says the motion is admissible in terms of the rules of Parliament. 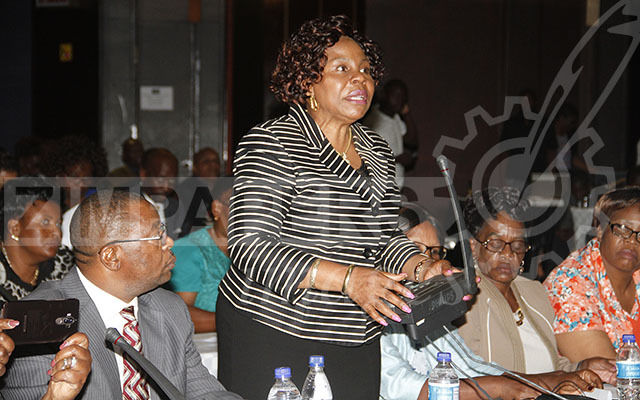 14:35– The motion was moved by Senator Monica Mutsvangwa and seconded by Mabvuku/Tafara legislator James Maridadi. 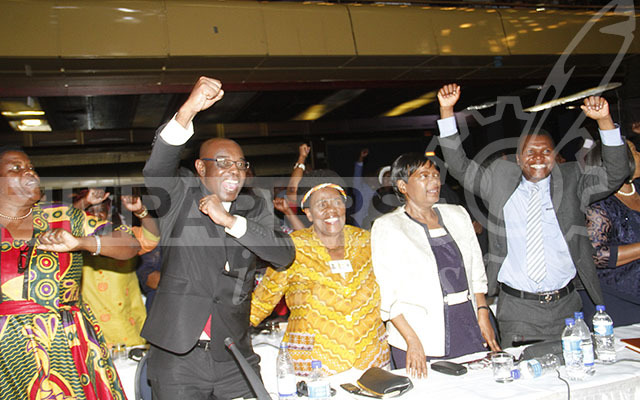 14:40– Advocate Mudenda is now outlining the procedures to be followed and outlining what the Constitution provides in moving such a motion which he described as historic since independence. 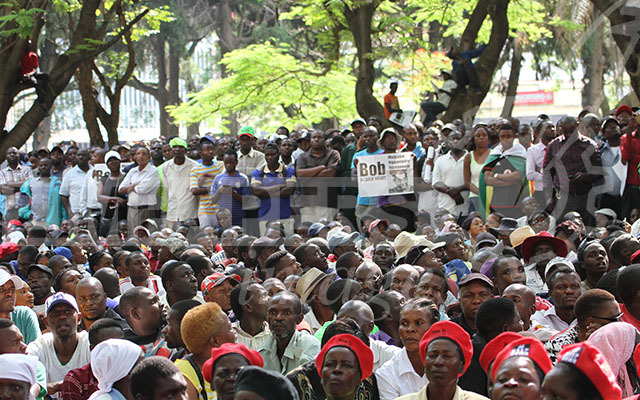 14:42– The National chamber is packed beyond its capacity which has resulted in some of the legislators to sit in the public gallery. 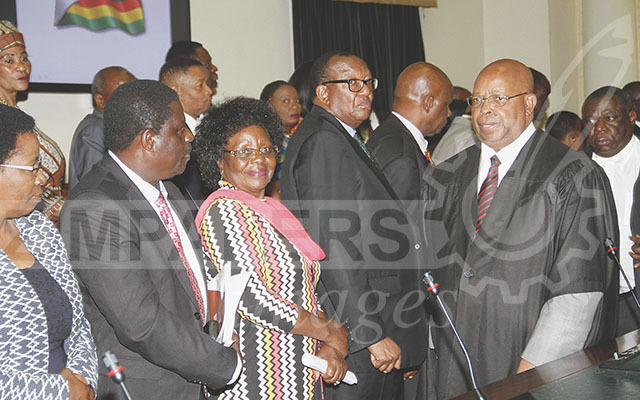 14:47- Advocate Mudenda said after consultation with the president of the Senate they have agreed to convene the joint sitting of both houses at the Harare International Conference Center at 16:30 hours today. 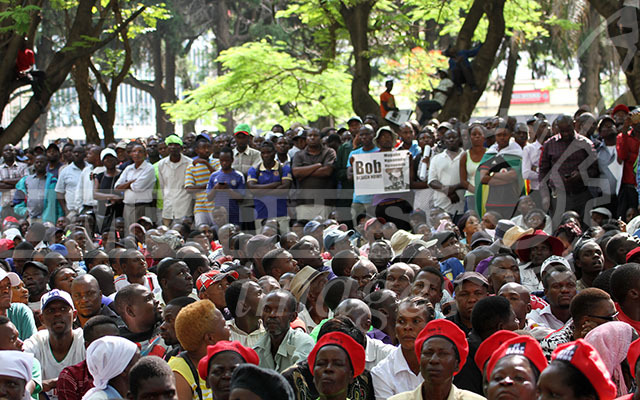 14:48 -He has appealed for tolerance, patience and maintaining dignity during the process. 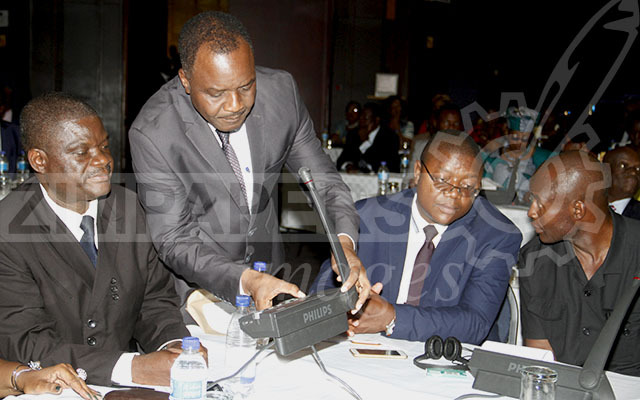 14:56-The House is now adjourning and will resume at 16:30 hours at the HICC. 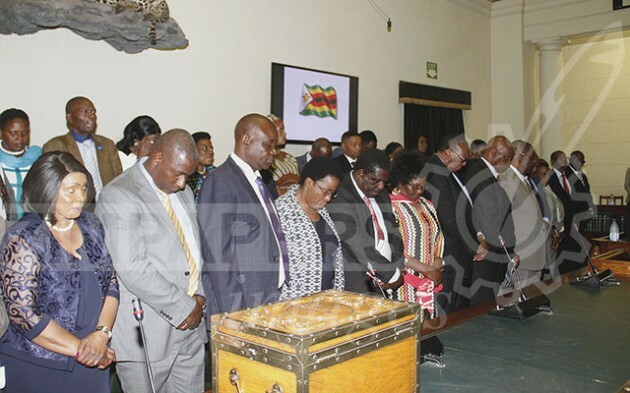 16:47 – Minister of Justice, Honourable Happyton Bonyongwe kneels near the Speaker of Parliament and legislators across the house shout, “Ibva apo mutengesi! (Go away sellout!). 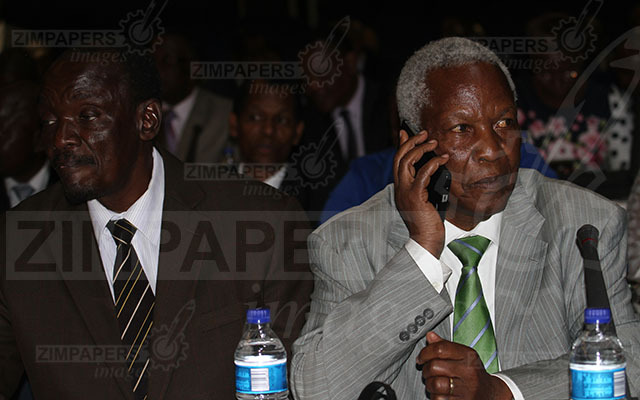 16:00 – Moving the motion, Senetor Mutsvangwa says President Mugabe is old and he needs to be hand held. As such, he is no longer fit for office. 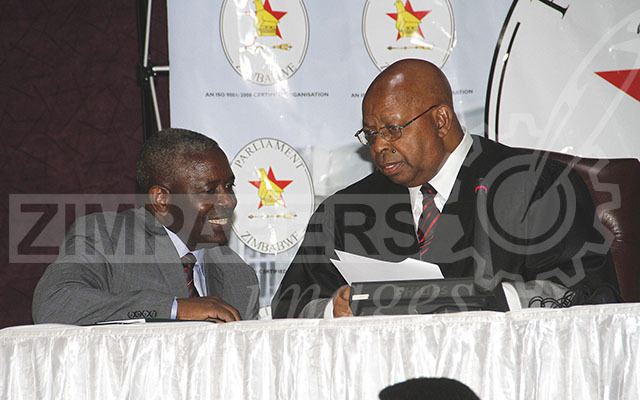 17:00 – President Mugabe, according to Senetor Mutsvangwa, has not taken any meaningful steps to stem endemic corruption which has become the country’s number one enemy as evidenced in the ZESA case where his cabinet minister (Dr Samuel Undenge) approved the transfer of US$5 million without following provisions laid down in the Public Finance Management Act. 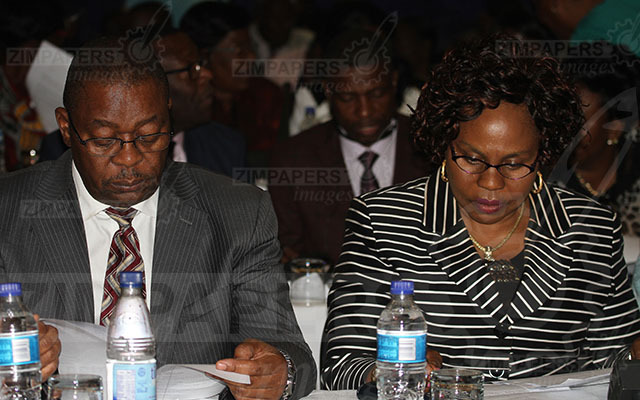 She also cites the ZIMDEF case involving Higher and Tertiary Education Minister Professor Jonathan Moyo. 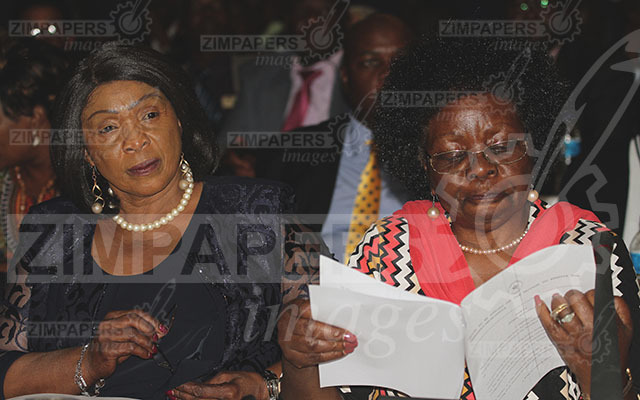 17:08 – Senator Monica Mutsvangwa moves the motion to impeach Pres Mugabe and Hon James Maridadi seconds. 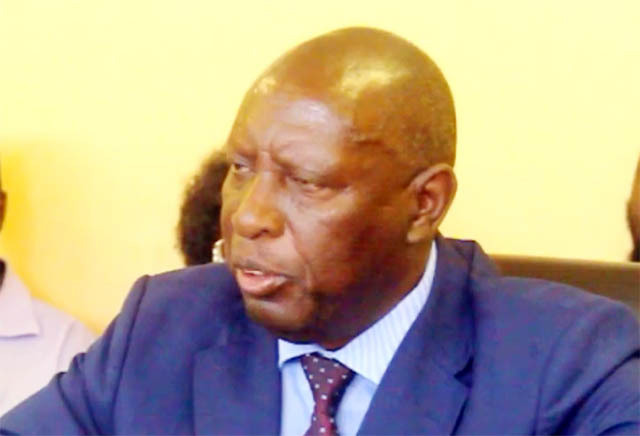 17:09 – Senator Mutsvangwa introduces the motion and says among other reasons for impeaching President Mugabe is serious misconduct. 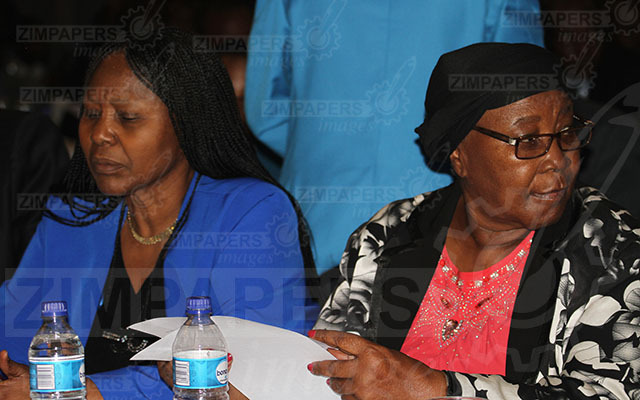 17:11 – The President has abrogated his constitutional mandate to his wife who makes public utterances on issues of government like the appointing and dismissal of Government Ministers and senior civil servants. (d) Inability to perform the functions of the office because of physical or mental incapacity. 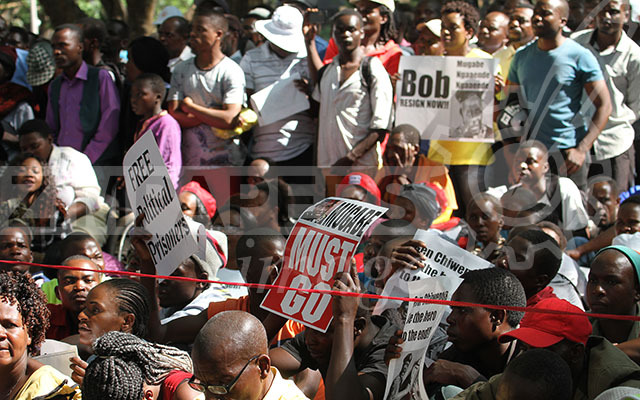 “Itai Dzamara disappeared for calling on President Mugabe to step down and Masuku died after he was incarcerated despite the fact the court had not found him guilty. 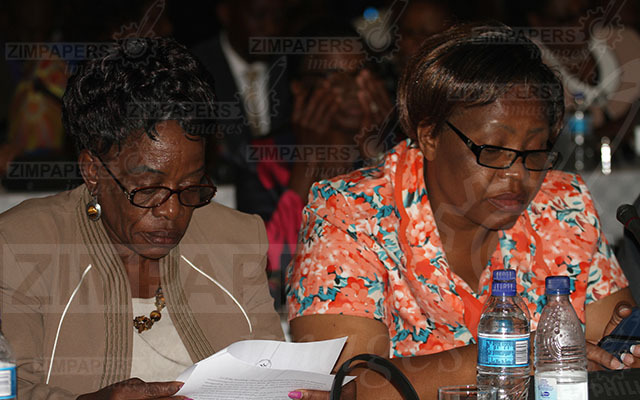 17:18– Hon Maridadi says President Mugabe presided over a non functioning health system and unemployment. 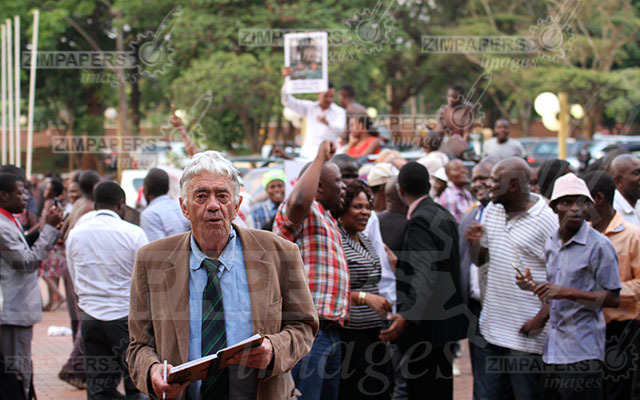 As such, he has to go and go now. 17:19 – Hon Maridadi chides Zanu PF members, who include the Speaker of Parliament saying, “Imbwa hadzisvinure musi umwechete.” He says the very motion was dismissed and described as frivolous before. 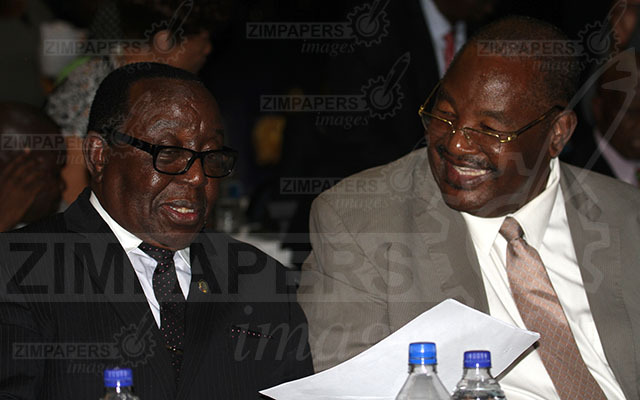 He says for the past 17 years, MDC T has been arguing that President Mugabe is not fit for office but as late as last week, Zanu PF was endorsing him as their 2018 candidate. 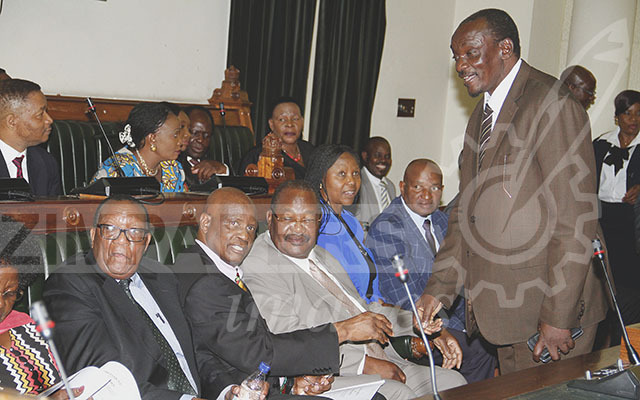 17:24 – Hon Mandipaka thanks Commander of the Defence Forces General Constantino Guvheya Chiwenga for moving in very swiftly adding that Zanu PF cleanses itself when there is a threat in the house, to which opposition Members of Parliament grumble and tell him to go away. 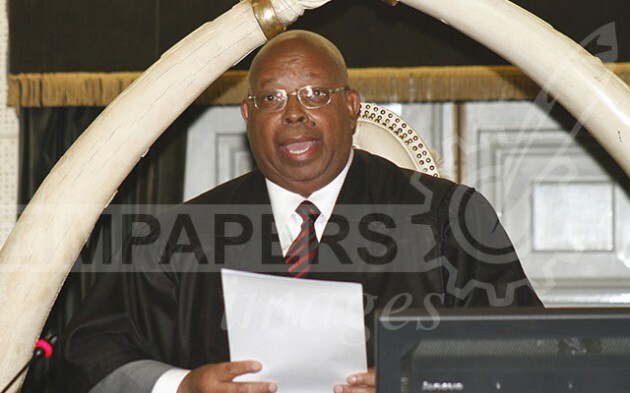 17:26 – Sen Chipanga moves to debate the motion and he supports it saying President Mugabe has let the nation down by failing to act on cases of corruption, citing the case where Vice President Phelekezela Mphoko caused the release of suspects from police stations. 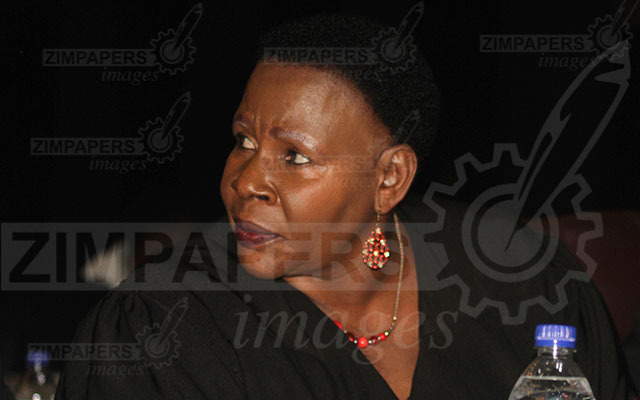 17:28 – Hon Jessie Majome is now debating the motion and says it’s needless to say she is in supports of it. 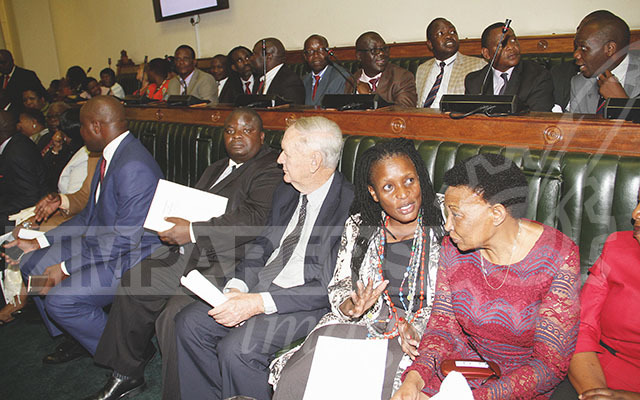 17:35 – Hon Majome has applauded members of the august House for putting aside their political differences to guard the constitution against President Mugabe due to dereliction of duty. 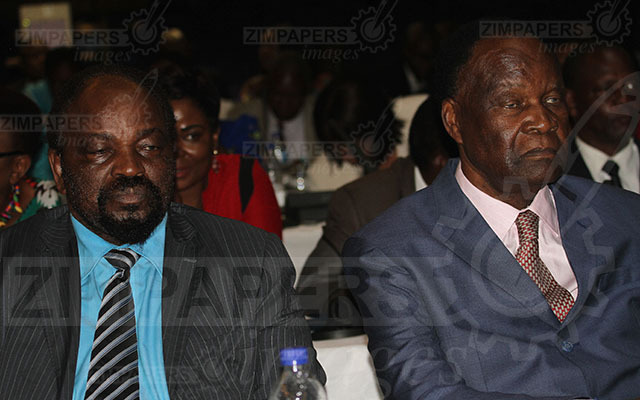 Among reasons for supporting the motion, Hon Majome says President Mugabe has made Zimbabwe a laughing stock because he sleeps even at high level functions, under development, unemployment and also threatening the rule of law. 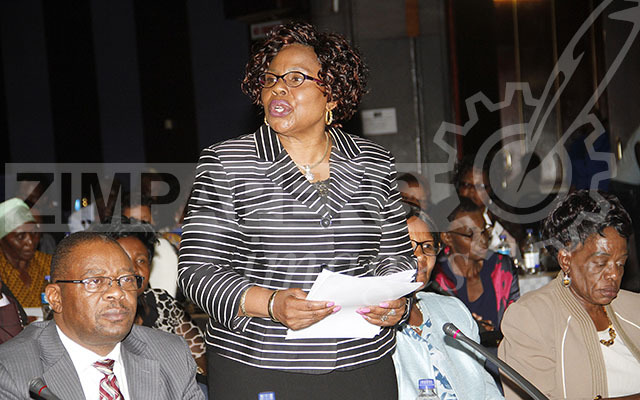 17:38 -Its now Hon Priscilla Misihairabwi move in support of the motion and says President Mugabe murdered more than 20 000 people from the year 1983 throughout the period of Gukurahundi period. 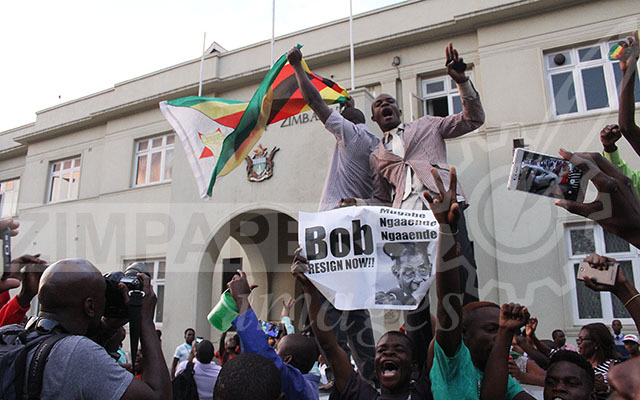 “President Robert Mugabe is the man who presided over the killings of opposition supporters,” says Hon Misihairabwi. 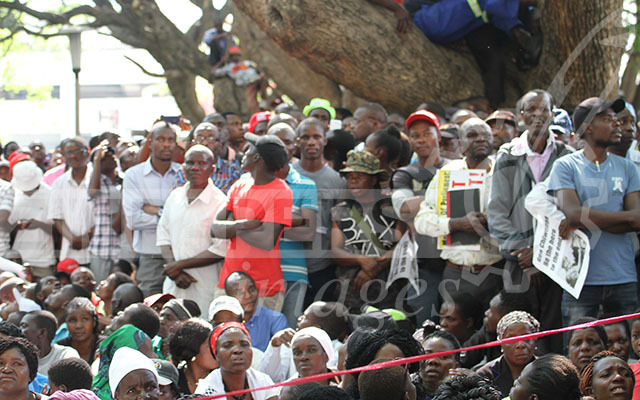 17:04 – Jubilant Zanu PF supporters sing Good bye Gushungo, endai munozorora . 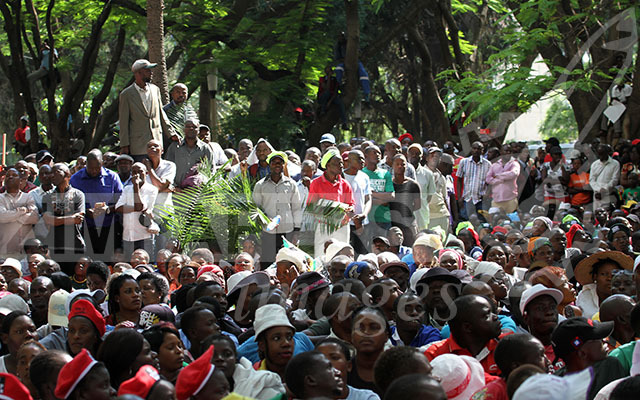 . .
17:10 – Multitudes of people immediately flood the streets of all cities and towns across the country. 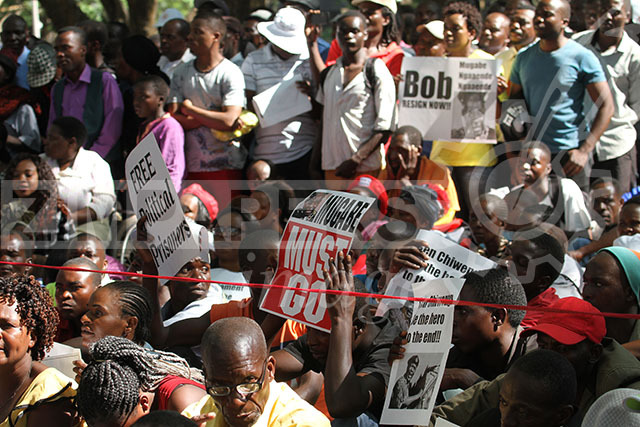 PRESIDENT Mugabe resigned amid impeachment after 37 years in power. 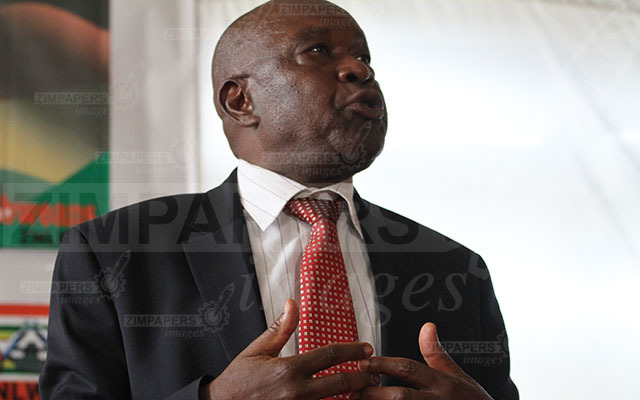 Justice, Legal and Parliamentary Affairs Minister Rtd Brig Gen. Happyton Bonyongwe murmurs the important message of President Mugabe’s resignation to Speaker Hon Jacob Mudenda. MPs during President Mugabe’s impeachment process, 21 November 2017. 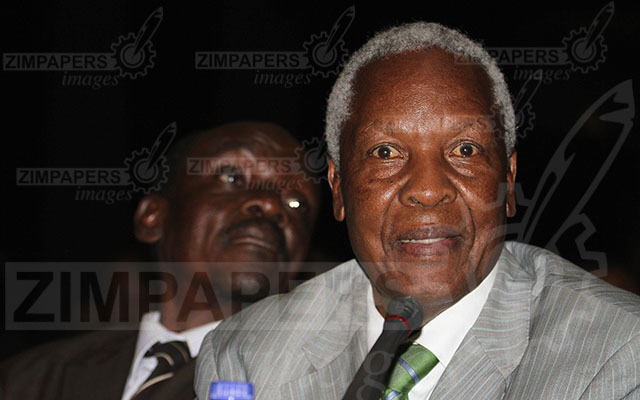 Hon James Maridadi seconded the motion to impeach President Mugabe on 21 November 2017. 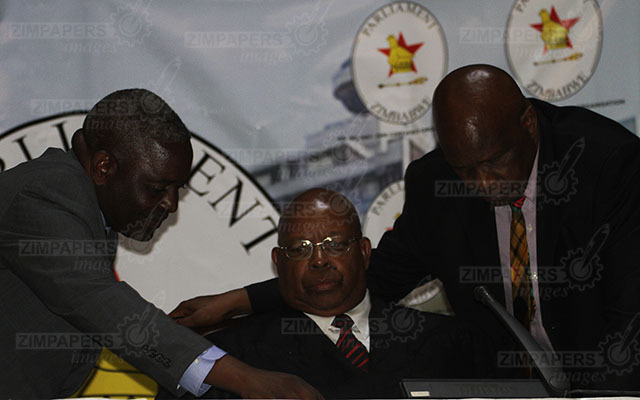 Hon Patrick Chinamasa (r) joins Rtd Brig.Gen Bonyongwe to advise of President Mugabe’s resignation on 21 November 2017. 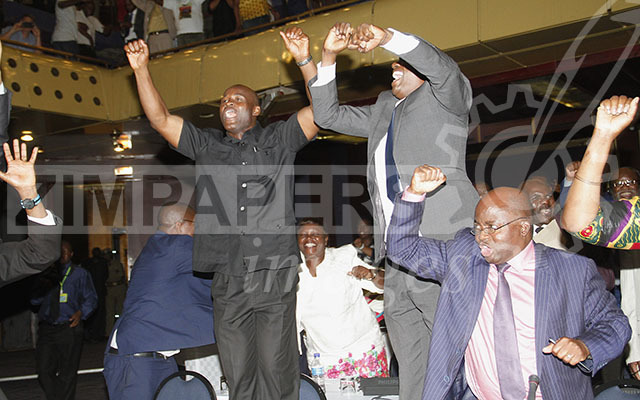 MPs break into jubilation upon announcement by Speaker of President Mugabe’s resignation, 21 November 2017. 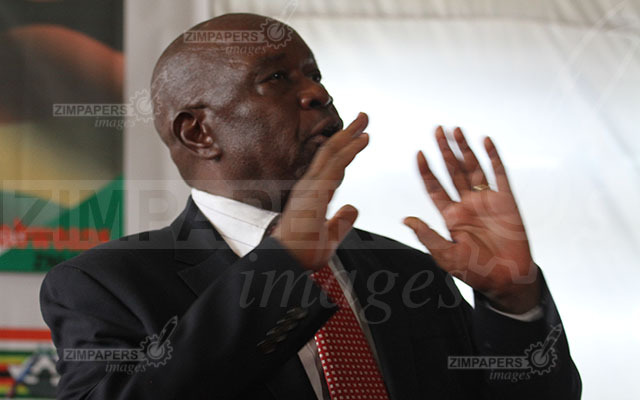 War veterans leader Cde Chris Mutsvangwa during President Mugabe’s impeachment in Parliament, 21 November 2017. BACK from hospital . 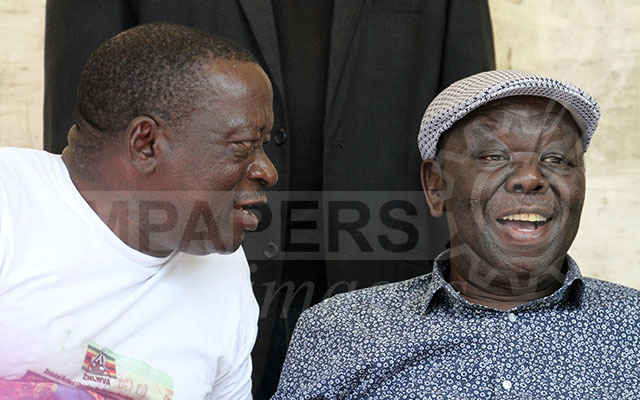 . . War veterans leader Cde Victor Matemadanda talks to opposition leader Morgan Tsvangirai who had been seeking medical attention in South Africa, ahead of President Mugabe’s impeachment process, 21 November 2017. 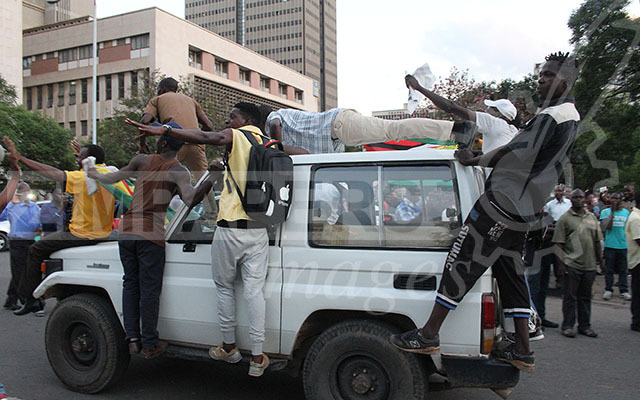 Youths celebrate President Mugabe’s resignation atop a military tanker, 21 November 2017. 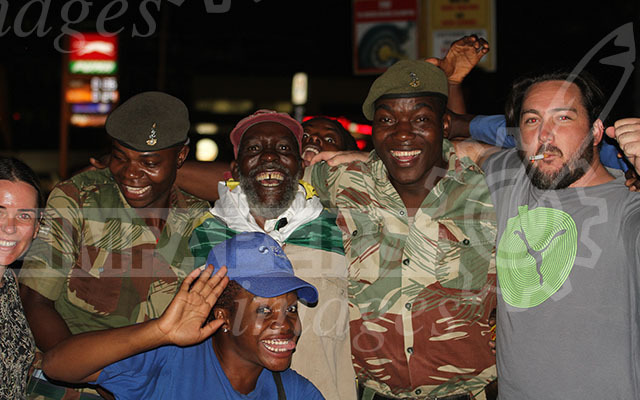 Members of the public celebrate President Mugabe’s resignation with members of the army. 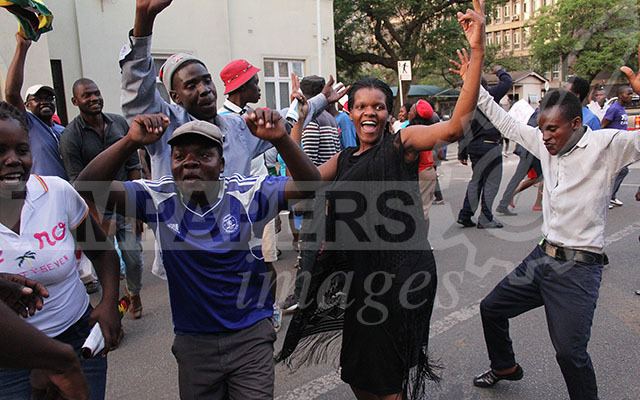 Scenes from Africa Unity Square park in Harare as people await the result of President Mugabe’s impeachment, 21 November 2017. 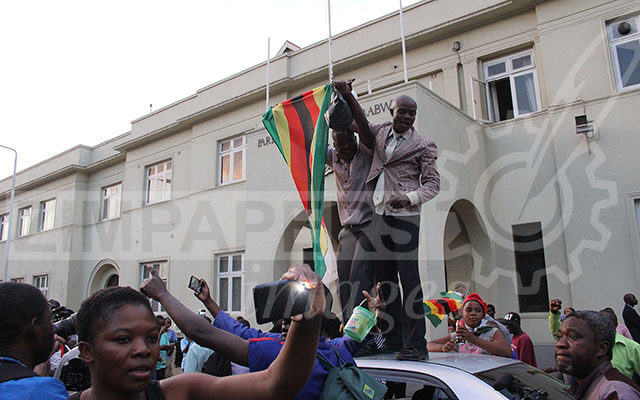 Scenes from Parliament of Zimbabwe during President Mugabe’s impeachment process. . . 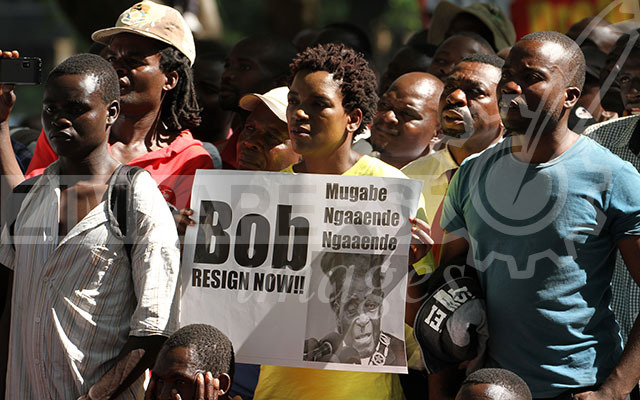 The revolutionary leader later resigned amid impeachment. 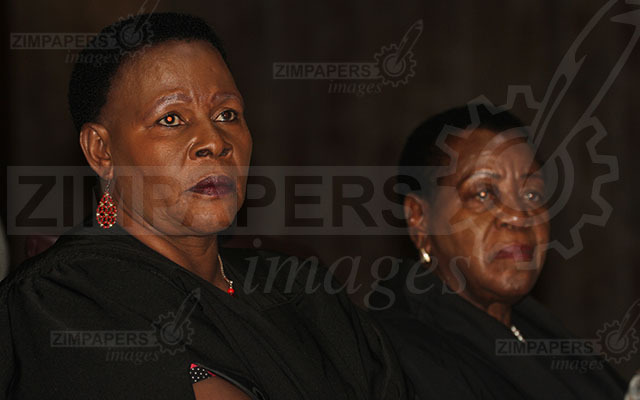 Cde Mabel Chinomona (left) and Cde Edina Madzongwe in Parliament. 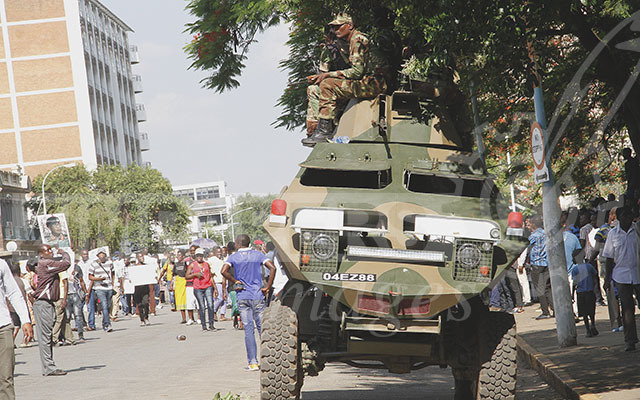 Scenes from Parliament of Zimbabwe during President Mugabe’s impeachment process. . . 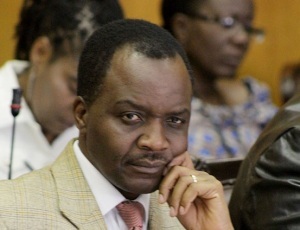 The revolutionary leader later resigned amid impeachment. 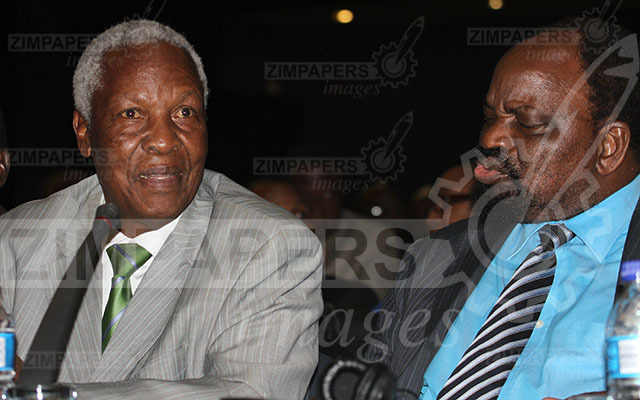 Cde Nyasha Chikwinya (left) and Cde Sithembiso Nyoni. 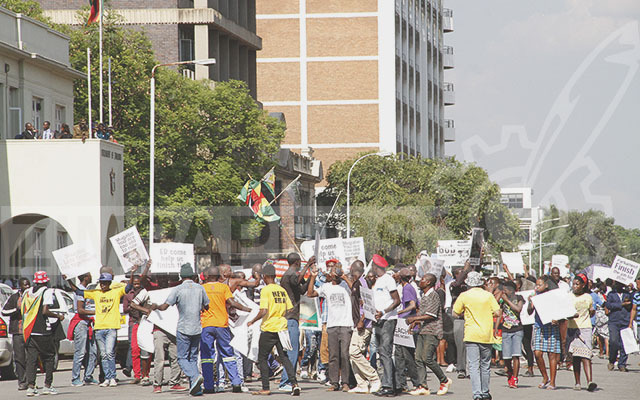 Scenes from Parliament of Zimbabwe during President Mugabe’s impeachment process. . . The revolutionary leader later resigned amid impeachment. 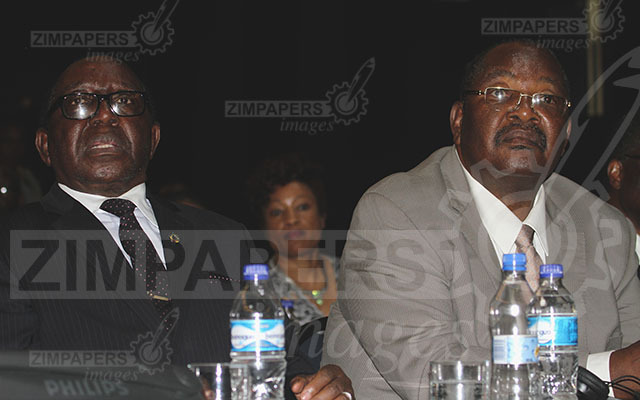 Cde Simon Khaya Moyo and Dr Obert Mpofu (right). 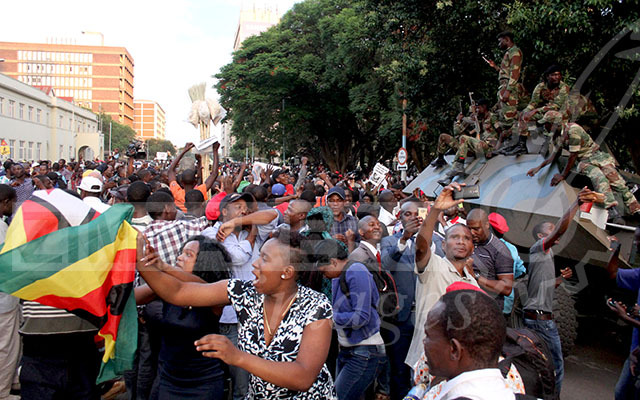 Scenes from Parliament of Zimbabwe during President Mugabe’s impeachment process. . . 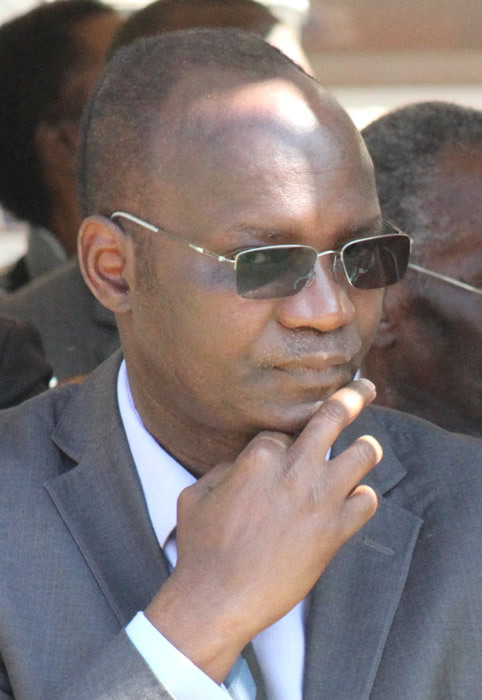 The revolutionary leader later resigned amid impeachment. 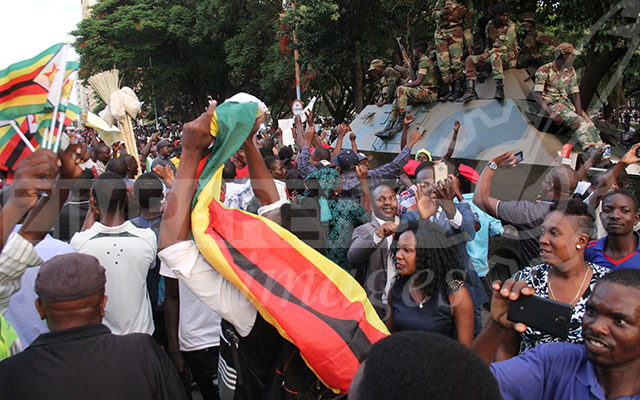 Scenes from Parliament of Zimbabwe during President Mugabe’s impeachment process. . . The revolutionary leader later resigned amid impeachment. 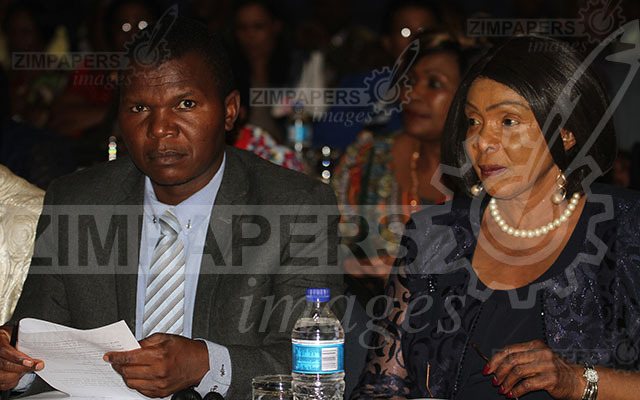 Cde Douglas Mombeshora and Cde Monica Mutsvangwa. 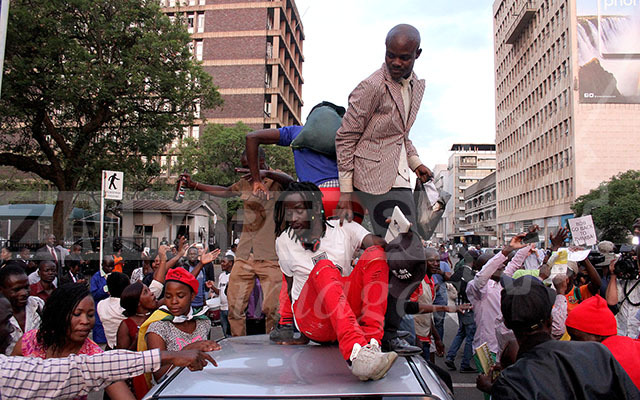 Scenes from Parliament of Zimbabwe during President Mugabe’s impeachment process. . . The revolutionary leader later resigned amid impeachment. 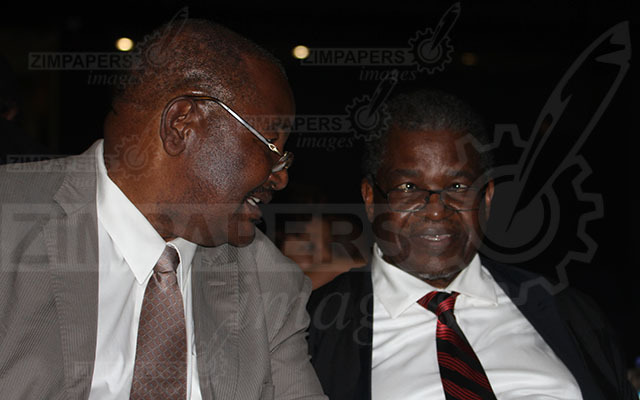 Cde Kembo Mohadi and Dr Sydney Sekeramayi. 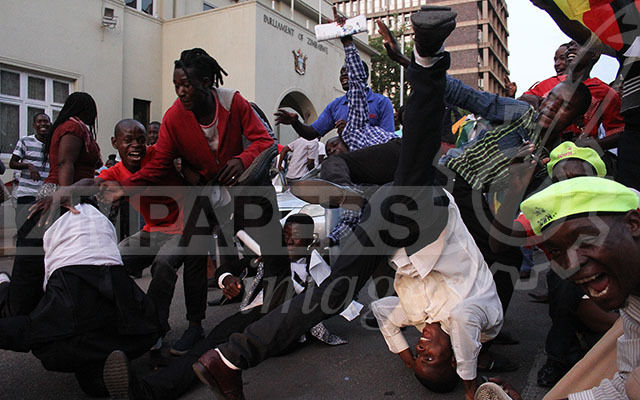 Scenes from Parliament of Zimbabwe during President Mugabe’s impeachment process. . . 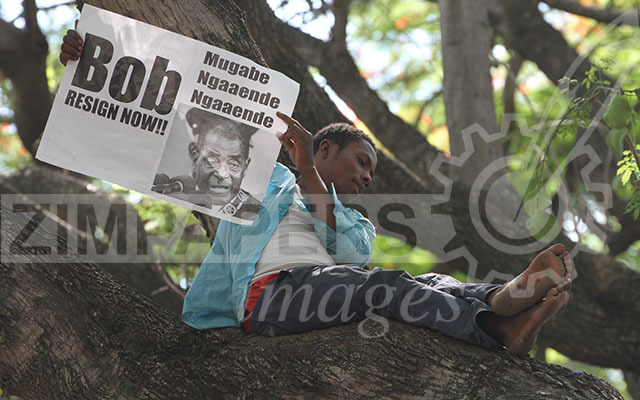 The revolutionary leader later resigned amid impeachment. 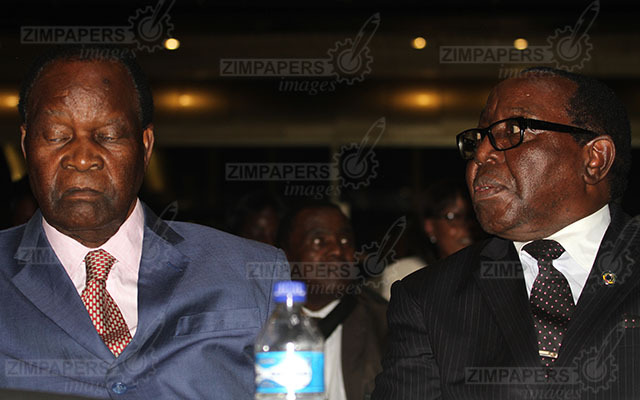 Cde Simbarashe Mumbengegwi and Cde Josiya Hungwe.